Online marketing has been the rage for quite some years now. It has made and broken many a company. Brick and mortar businesses are slowly shifting onto the online sphere in a bid to keep up with the times and the people, who themselves can’t help but see their lives rely more on online snazzy. The internet has opened up new avenues of convenience, and plenty of starry-eyed aspirant marketers have swarmed in to harness its potential. Online marketing agencies have propped up, sensing that there’s a niche to be catered to here and there’s every indication that this is the future. The internet’s deeper than the sea, its length and breadth almost immeasurable and we probably don’t even know 1% of it despite spending years on it. That’s the point of online marketing though; there’s a vast reservoir of unfathomably massive possibilities that you could use as a marketing bulwark to give yourself an edge over others who are scouring this vast expanse for something similar. But before you do that, it’s worth noting that every online marketing agency must know of and acknowledge the behemoth that runs the Internet as we know it: Google. Most of the stuff, if not all, passes through Google or exists cause Google’s algorithms deem them fit enough to be visible on its searches. You simply cannot account in quantifiable terms how much dominance, to the point of unintended monopoly, Google has over this sphere. You can only imagine how much say, therefore, it will have on any online marketing endeavor one undertakes. Google AdWords is used by many online marketing agencies to maximize their reach since Google has the tools if you know how to use them, to enable them to do just that. 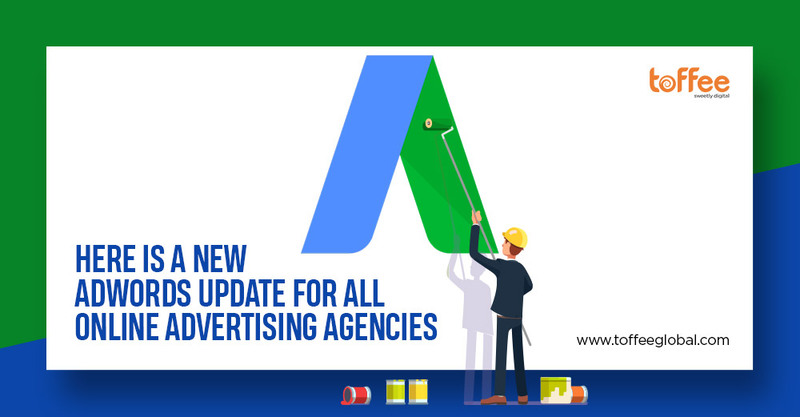 So all in all, every online digital marketing agency must understand the nitty-gritty of working with Google AdWords and how one is supposed to transform what could be perceived as limitations into new possibilities or outlets. Now that we’ve discussed why you should give Google Adwords a serious thought, let’s take a look at their newest updates to get in sync with how they see online marketing from their prism and expect marketers, including agencies, to fall in line with them so that a balance can be struck between flawless user experience and healthy online marketing that does not meddle with the aforementioned experience. Google states that they want to push for “faster, safer and better ad experiences”. In order to do so, they’ve introduced new features to their click measurement tool which will also allow marketers to gauge how better mobile website speed will help get more clicks. This is important in light of voice search emerging as a key segment. Also, HTTPS encryption shall have to be adopted by sites to provide users with a safe and secure experience. Chrome 68 will mark all HTTP pages as “unsafe” as part of the July update.